My original thought was U-No bar, but then I discovered that they don’t taste very good. A reader suggested Upside Down Cake, but a very popular cupcake shop (Trophy) does these so I didn’t want to go with that either. 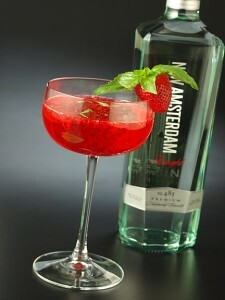 After extreme googling, I discovered the Union Square, a cocktail created by a famous bartender using New Amsterdam Gin. I thought maybe it didn’t really exist, but then I found another reference. So if it exists twice on the internet, it’s real, right? If there is a (stolen) photo, then it must be real! The strawberries are muddled with the basil until thoroughly crushed. Then the other ingredients are added and the whole mess is shaken and poured over ice. If anyone out there likes gin, let me know how this tastes. I started off with Sprinkles strawberry cupcake recipe and added a little lemon and used agave nectar for part of the sugar. I was going to substitute it all, but after tasting the agave (not tasty), I used 1/2 sugar and 1/2 agave. I swear I had lemons in my cart at the grocery store, but somehow they didn’t make it into the kitchen with me, so I used RealLemon juice. Scoop into lined mini muffin tins and bake for 14 minutes (ish) at 350 degrees. Allow to cool for 10 minutes in the pan and the rest of the way on wire racks. I think this turned out to be a very nice cupcake. 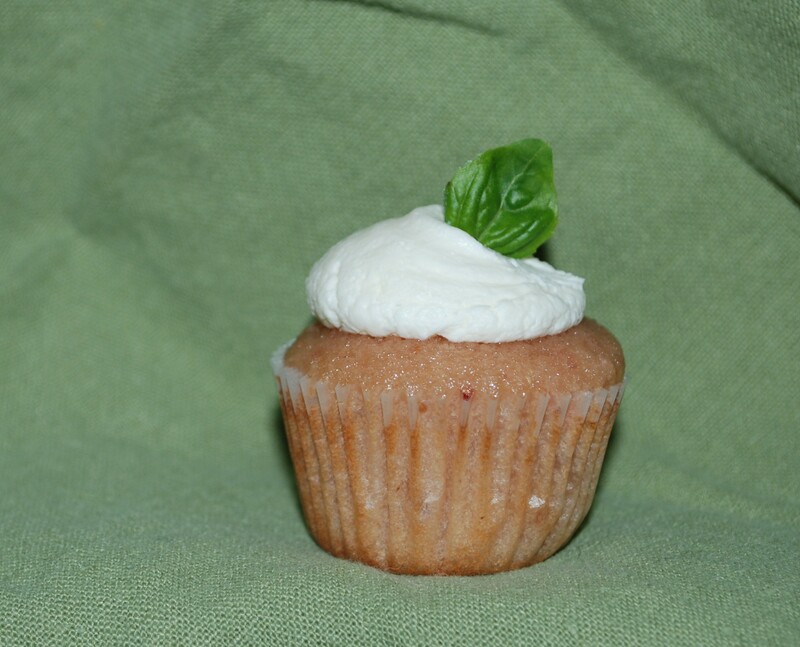 All of the flavors are very subtle…just a little hint of strawberry, basil and citrus. The icing is very creamy and not too sweet. It’s definitely not a Kiddie Cupcake, even though it’s tiny. I think this would probably be very nice for afternoon tea.